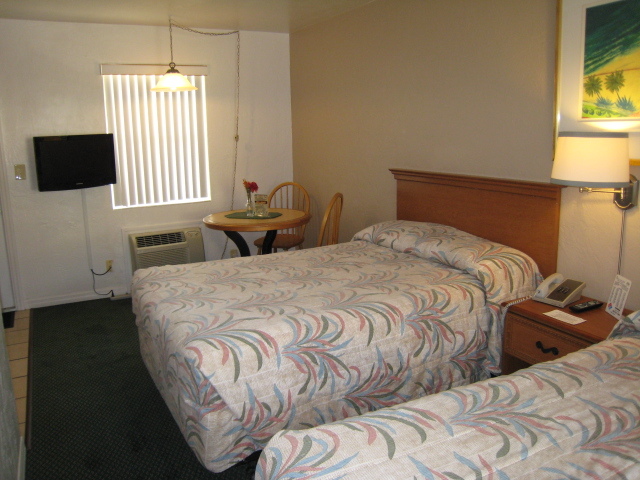 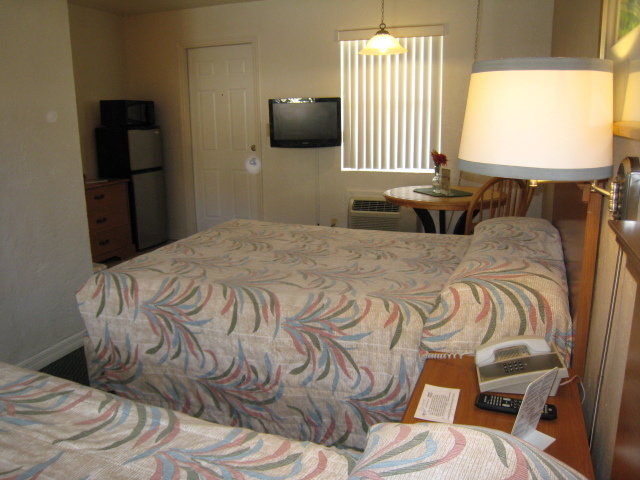 Max Occupancy: 4 Room with 2 full size beds, closet space and ample drawer space. 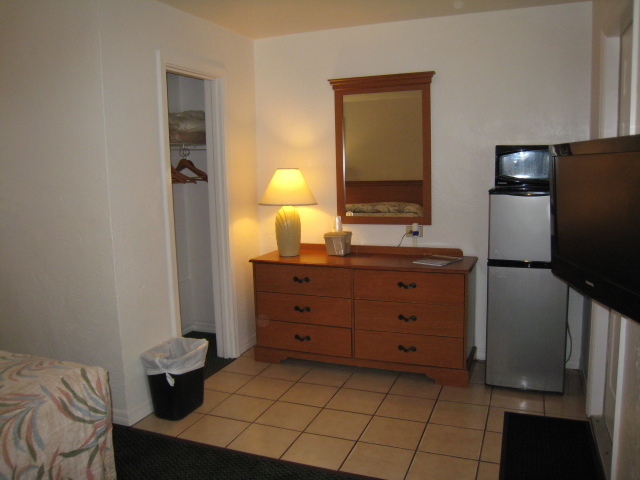 Fridge and microwave. Extended cable TV with HBO and dedicated climate control. This room is similar in size to the small efficiency but without kitchen unit.